Brady Bacon wins the inaugural BC39 race at the Indianapolis Motor Speedway. 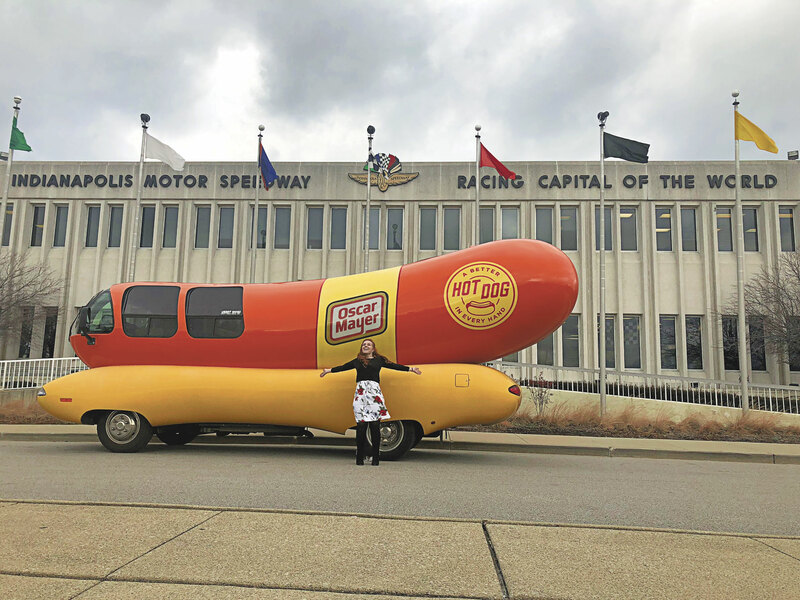 A certain amount of skepticism comes with the first of anything new—even for an establishment as old and renowned as the Indianapolis Motor Speedway. The track itself began construction in 1909, the first Indianapolis 500 came in 1911. 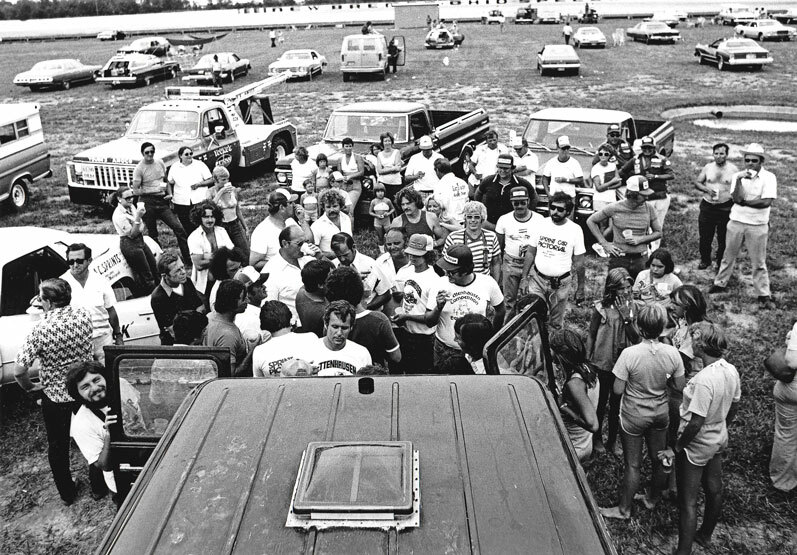 It was decades before another series turned laps on the hallowed grounds. A dirt track has been whispered about around ims for years, but different logistical problems prevented it from coming to fruition. President of the Speedway, Doug Boles teamed up with a local dirt track promoter and the Clauson family to make the dream become a reality. Thus created a tight 1/4 mile dirt track in turn three of Indy the Driven2SaveLives BC39 event was born. Bryan Clauson (aka “BC”) was a phenomenal Hoosier dirt track racer that climbed the ranks to national recognition. He has many accolades in the racing world, top marks include the 2014 Chili Bowl winner and three Indianapolis 500 starts. In 2016 Bryan lost his life due to complications from a midget accident and the racing community was shaken. Only a year prior, we lost IndyCar driver Justin Wilson in a racing incident as well. Wilson’s brother Stefan teamed up with the Indiana Donor’s Network to create a new campaign called “Driven2SaveLives.” Both Justin and Bryan were registered organ donors and each were able to save five lives. To honor Bryan’s legacy, Driven2SaveLives came on board to support the BC39 race, gain awareness and “race to end the wait” for life-saving organ donation. The stage was set and it was an emotional evening from the start. An unprecedented 115 cars were ready to rumble on Wednesday night, September 5th. They came from all over the country to participate in the first eve, many of which ran with Bryan at one point in his career. The star-studded roster included 24 usac midget feature winners and series champions including Dave Darland, Christopher Bell, Tracy Hines, J.J. Yeley and more. nascar drivers Ricky Stenhouse Jr. and Landon Cassill both fielded entries and Conor Daly carried the flag for the IndyCar series. Tim and Diana Clauson-Bryan’s parents, fielded a couple of cars in their late son’s honor and in a tearful twist of fate, both were in Victory Lane by the end of the qualifier night. Tyler “Sunshine” Courtney from right here in Indianapolis won the first heat race of the night and later on, 15-year-old Zeb Wise of Angola, IN had a daring win in the Stoops pursuit race. Inches off the wall for laps on end, it was easy to identify why Wise was Clauson’s protégé. “I figured I couldn’t follow everybody around the bottom or I’d lose spots,” said Wise. “I tried the top side. I was patient with it, figured it out and came through the field.” Win in hand; Wise became the youngest usac feature winner in history — poetically beating his mentor, Clauson, in the process. On Thursday, mother nature did not cooperate. After weeks of torrid heat, the skies opened up and poured for hours leading up to the green flag. 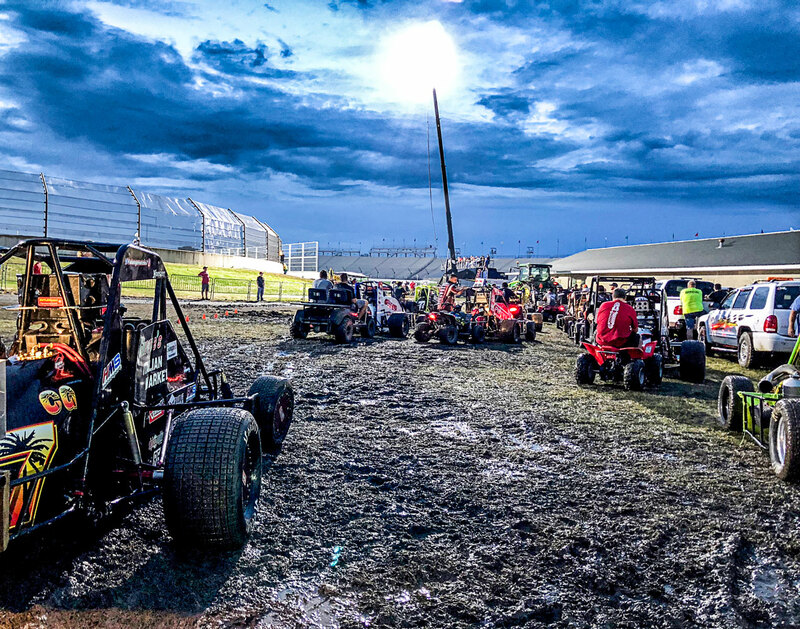 Fans, drivers and crew waited skeptically for the track to dry. After a delay in action, USAC announced that the surface has been prepped and ready. Although the first couple of mud packing sessions were… tough, the track worked in quickly and racing resumed. The storm did not scare the fans away. The following morning, the Indy Star reported that over 13,000 people were in attendance and the grandstands were completely sold out. By the time the A main squared up and the 4-wide salute laps were completed, everyone was on their feet. 39 laps for Bryan’s car number, each more exciting than the last. Cullman, AL native Kevin Thomas Jr. led early on, with Courtney hot on the trail. Two grooves distinctly started to develop. Cars piled up on the 14th lap and all were able to restart. Shortly after getting back to action, Broken Arrow, OK native Brady Bacon’s light knock came to a pounding on the door as he took jabs for the lead. He tried low, but couldn’t make it stick, pulling the front two wheels off of the racing surface. Once the leaders caught up to traffic, Bacon got to cooking. A beautifully executed slide job through turn 4 earned him the lead and that was all she wrote. Chad Boat slid into second in the closing laps, Thomas clinched third, Courtney fourth and Christopher Bell clawed his way from 17th to finish 5th. The stroke of midnight ended the festivities and race fans both familiar with this genre of racing and not went home content. From the start, Bryan was smiling down on this event. He would have loved to race a midget at the Indianapolis Motor Speedway. All morning and day leading up to the first heat race, we were skeptical that the weather would allow such an event. Lightning, thunder, and rain threatened at a distance but just before the big drops fell, a striking double rainbow appeared over the oval. The goldRush Rally is the craziest exotic car parade that you have never heard of. If you have heard of it, then you probably stumbled upon it somewhere in the back roads of the United States or caught ‘dope’ pictures on social media. Each year, the route changes. For the special ten-year anniversary this June, expedition stopped in ten metropolitan cities from Boston to Las Vegas. Lasting little over a week, they happened to swing through the Indianapolis Motor Speedway for an afternoon. There is nothing subtle about a fleet of candy-colored supercars arriving at your office- especially on a grey Tuesday morning. This was the VIP group, which included nascar Champion and 2014 Indy500 starter Kurt Busch driving a menacing 2018 Ford GT and former Seahawks Defensive End Cliff Avril in his own Black Panther themed ride. All of a sudden, there was a spectacle. These magnificent cars were a taste of the 200-odd legion on their way. Geoff Fear owns a luxury watch company that sponsors the series and has been an eager participant since the beginning. 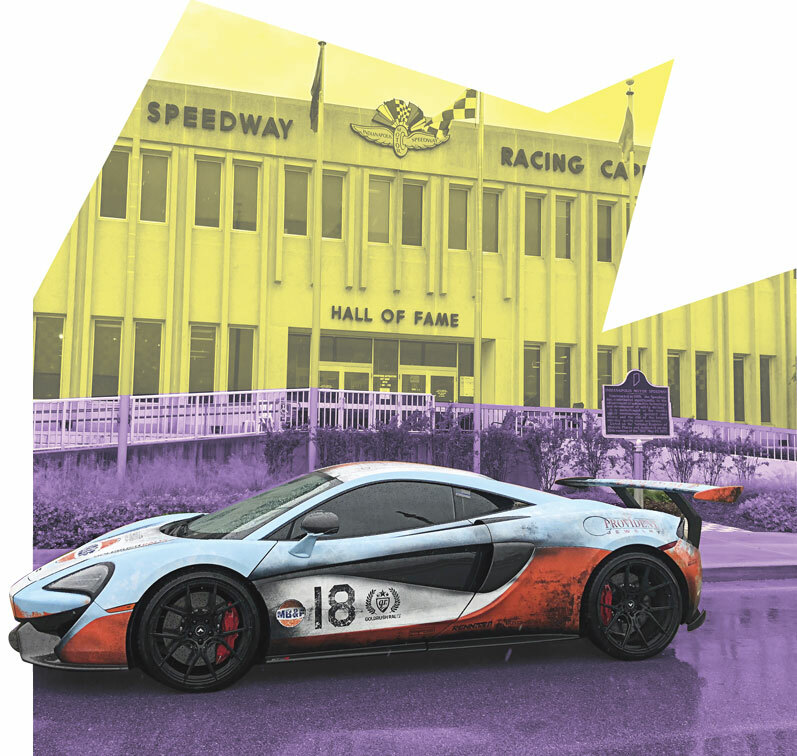 Decked out in Premiere Jewelry logos and goldRush stickers, Fear rocked a classic Gulf paint scheme this year on his McLaren 570S. Every car sports their own unique design and attitude – each wilder than the next. But being pulled over is a regularity. 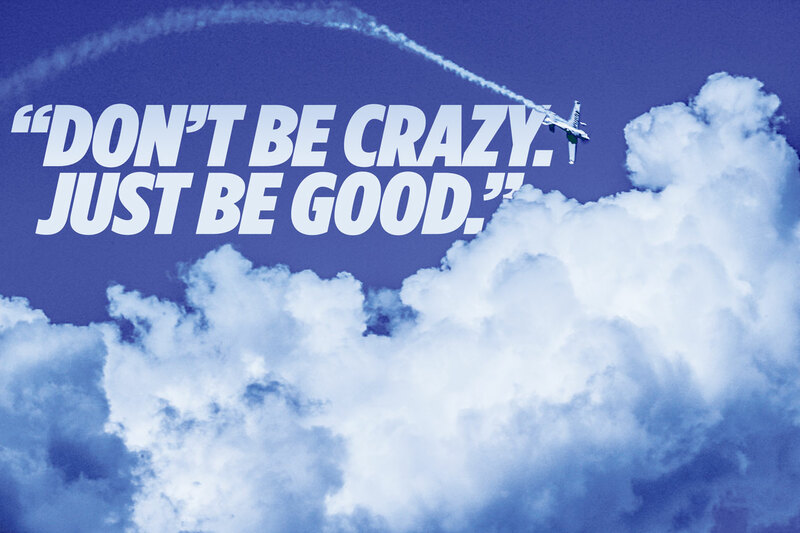 Speeding tickets are a mark of pride but not getting caught is the ultimate prize. From the Golden Gate Bridge to the Las Vegas strip, goldRush embodies a new type of gearhead. It is luxury, it is humor and it captures the elusive idea of ‘cool.’ There is an outlaw vibe here and the cast of characters has no shortage of personality. In their mission statement, goldRush even refers to themselves as both a ‘social event’ and a ‘lifestyle brand’ and travel days are almost exclusively covered with new media platforms like Instagram and YouTube. 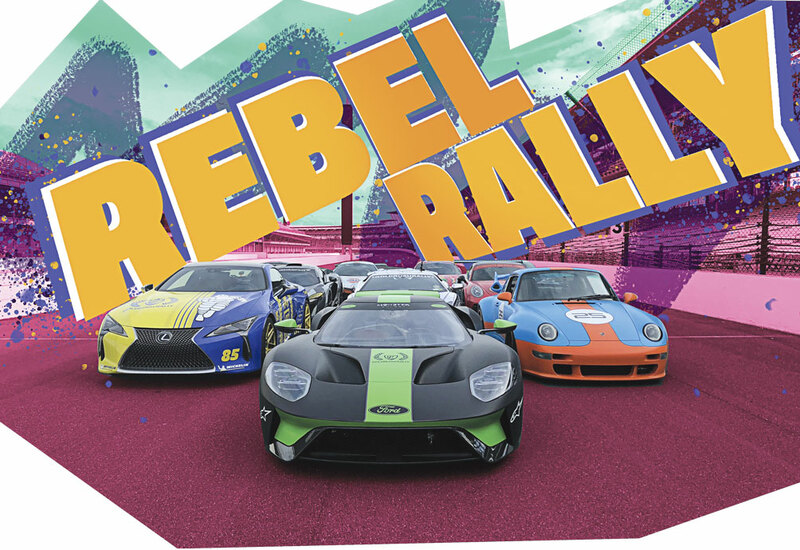 Besides a presence at sema, this organization’s focus is not on media attention — but bringing like-minded people together. This is a tribe and yet another flavor of car culture, one that is still creating their own mark and community. These guys have a mix of crazy eccentricities and attitude. In a word, these guys are rebels. One thing is for sure; Danica Patrick is a household name in America. Those outside of racing have a very basic understanding of her, but even some of the most dedicated fans I have met have only a superficial view of the GoDaddy Girl. 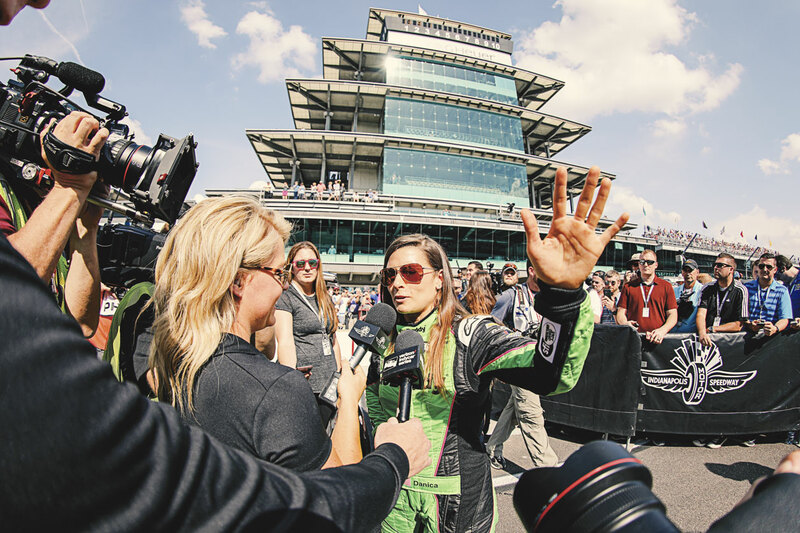 This year, Danica announced that she will be retiring from her role as racecar driver, and decided to end her career with one last shot at Victory Lane. They dubbed it the ‘Danica Double.’ Two races: NASCAR’s Daytona 500, and the 102nd running of the Indianapolis 500. Here, she wanted to redeem her reputation, end the doubts of her talent and (maybe) make history. Neither of those races shook out the way she wanted them- 35th at Daytona and a 30th at Indy. As we end the chapter on her racing career, there are still countless misconceptions, false stories and heated arguments involving Danica. At the end of the day, her image is her legacy and things have spiraled out of control, Danica Patrick is gravely misunderstood. The first thing that Danica haters bring up is the stats. In calling attention to the scoreboard, no, her record is not overwhelmingly impressive. She started her professional racing career in the Formula Atlantic series before moving up in open wheel to IndyCar. She was not the first woman to race in IndyCar, the Indy500, or even be the first female Indy500 Rookie of the Year. Patrick was, however, the first woman to win an IndyCar race at Twin Ring Motegi, Japan back in 2008. To those who say that she won off fuel strategy and thus does not count as a real win…Shut up! That argument is invalid. 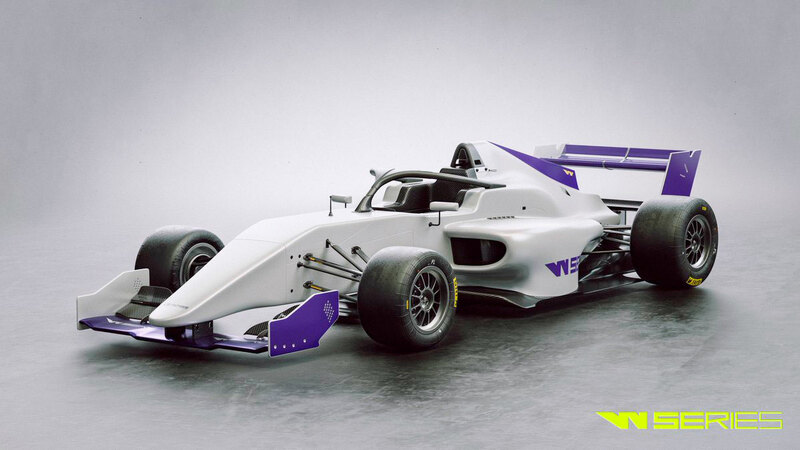 Every win in modern motorsports has something to do with strategy. Should Danica Patrick be inducted into the motorsports-based Halls of Fame? If the criterion is based on statistical wins and poles… No. After the 2011 season with Andretti Autosport, Danica took her rising star and sponsorship money and went over to NASCAR. Here, she raced 6 seasons. In that time she scored 7 top 10’s, and 0 top 5 finishes. She is however, the first woman to win a pole in NASCAR and did so for the 2013 Daytona 500. Add that to her 3 poles, 20 top 5’s and 7 podiums in IndyCar she had a somewhat modest career. The numbers are a small blip in the Danica superstardom. As she grew bigger, so did her reputation. As someone who has personally worked with and in proximity to Danica Patrick, I testify from my own experience that she is perfectly respectful to those around her. The stories I have heard from others say different. I take those with a grain of salt. She is blunt, honest and answers questions thoughtfully. I will say that her patience is very short, but so is her time. Think about what you are going to say to her beforehand, and furthermore, really think about if your question is worth asking. If you have to answer the same question 1,000 times in a season- you would get a little annoyed too. Danica is also a very public sore loser. When things fall apart on the racetrack, the disappointment radiates off of her. She cares. This should not be a deciding factor in her image. There is something to say about taking defeat with grace and poise, but many great moments in racing have sprung from the heartbreak of losing. A.J. Foyt jumping out of his car on pit lane at the 1982 Indianapolis 500 and beating his Coyote with a hammer. How about later on as a team owner, backhanding Arie Luyendyk on camera after a dispute in Texas in ‘97? Tony Stewart still is not ‘graceful’ when his day goes south nor is Juan Pablo Montoya, Kyle Busch or was Mario Andretti in his hayday. As a young fan, I will never forget the 2008 Indy500 when Ryan Briscoe took Danica out in a pit incident. Danica literally marched down the pit lane to confront her fellow driver. She had to be held back by security. Through racing’s long and heated history, one thing is for sure. 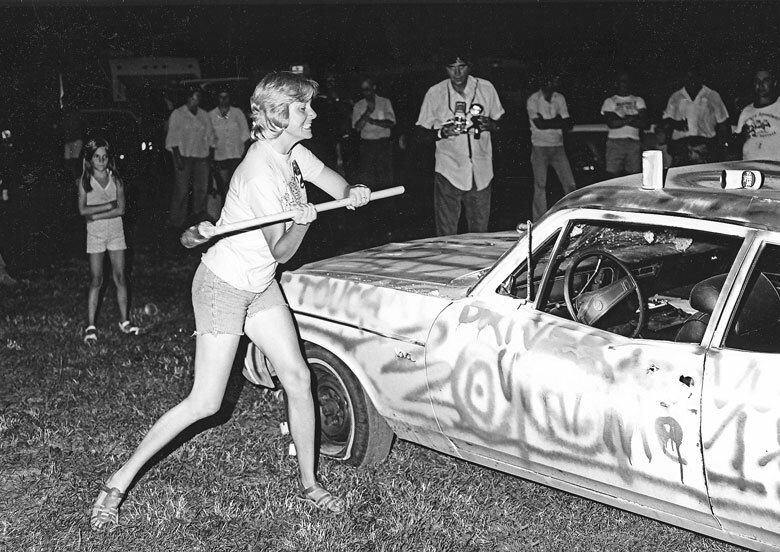 Like Foyt, Stewart and countless others: hell hath no fury like an angry racecar driver. She proved to me her true grit that day. A separation is in order. As frustrating as an on track incident is, drivers still have a role to play with the fans. There have been many a negative stories about Danica in this category as well. I have to chalk some of it up to fans not choosing their time appropriately. There is absolutely no excuse, however, for a driver to be rude to fans. I personally have seen Danica be respectful with her hoards of followers. Something that Patrick is adamant about is her reputation as a role model. She did not ask for that spotlight. 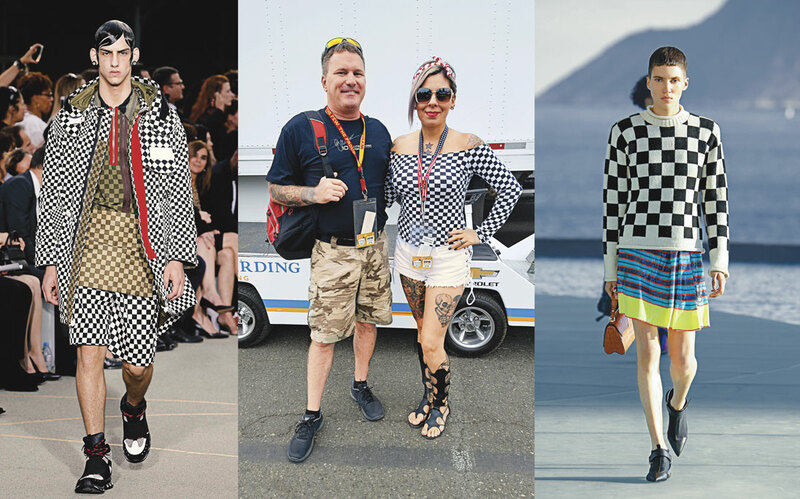 The on track novelty of being a woman in a man’s world has long since worn off. She is first and foremost a driver- that means she is an inspiration to little girls and little boys alike. If she has proved anything in her career, gender does not play a factor. In the spirit of full-frontal feminism, Danica has harnessed the power of what she brings to the table. A mantra of hers is ‘rock what you got’ – and she has used her differences to market herself. The provocative GoDaddy commercials and racy pictures at the beginning of her career were all a means to an end. It worked. In her book Danica: Crossing the Line she notes that she was in control of her comfort level the whole time. Instead of questioning her path to household fame, maybe ask yourself why there is a demand for cheesecake pictures of her in the first place. This constant rhythm of words is pumped through the loudspeakers for hours on end, the cadence of money exchanging hands. This was the sound that I heard going through the tunnel entering the Indiana State Fairgrounds arena. Usually home to the Indianapolis semi-pro hockey team, the building was turned into a auction stage for the week. 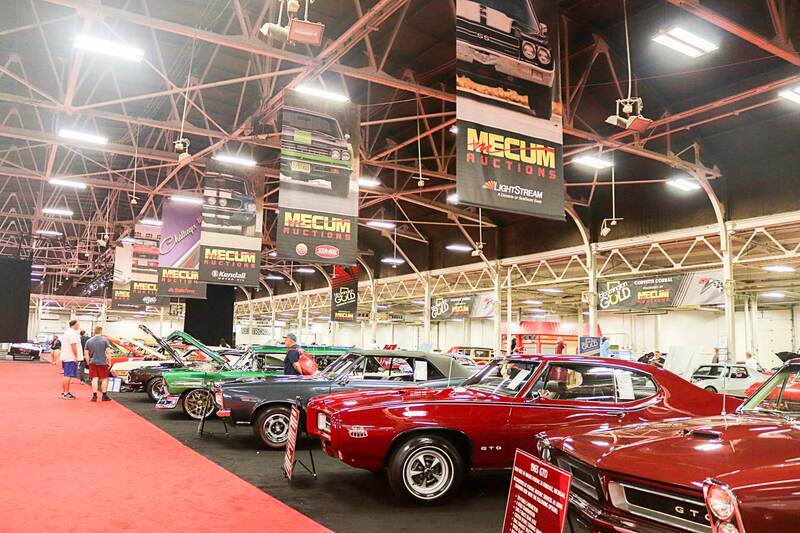 The largest touring auction series in the United States, the Mecum show has been coming to Indianapolis for 31 years. They have a total of 14 stops on their tour and touch all corners of the US of A. Every Mecum event is televised live on NBC Sports and it is easy to see the entertainment value. 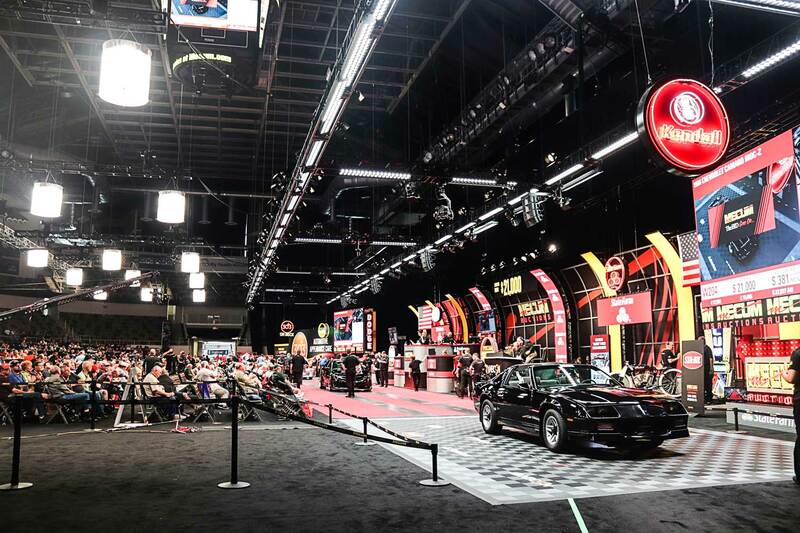 Mecum proudly states that they have the most stops on their tour; the most collector cars offered at auction, the most cars sold at auction and the most dollar volume of sales. The Indianapolis stop alone is a six-day extravaganza. 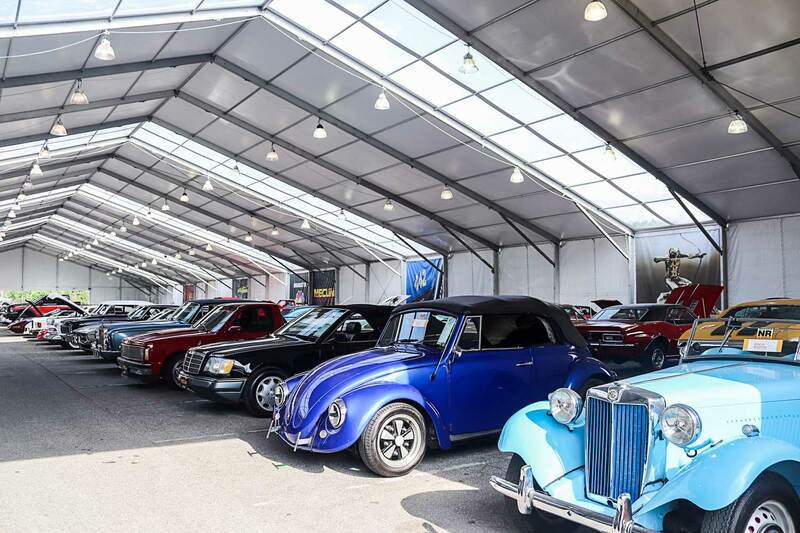 They feature 300 cars a day minimum for sale in order to show all 2,000+ lots that have been consigned. “There are no restrictions,” said a seller named Michael in a vaguely east- coast- style accent. 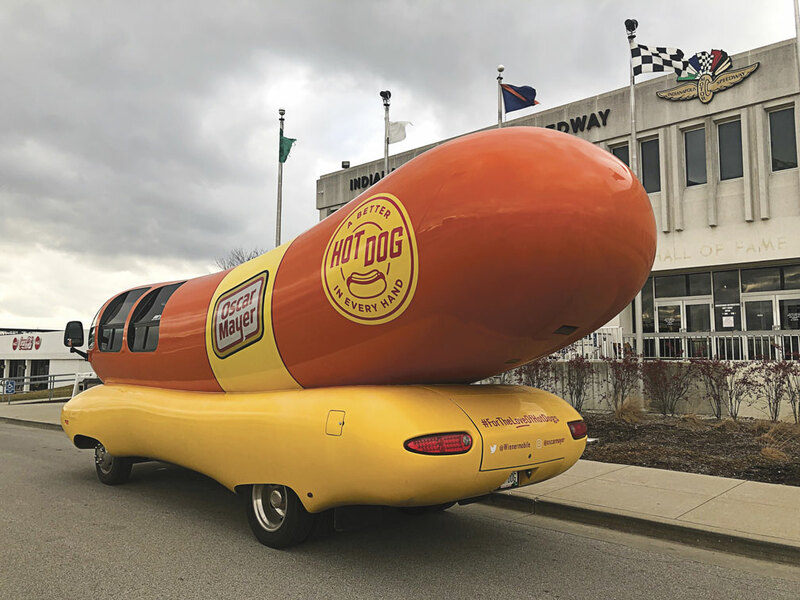 “I make my living selling cars at these things — primarily Volkswagens. That’s my little Bug right there!” Nestled between an impossibly tall 2000s Ford F150 and a brutish 1960s Ford Mustang was his little cherry-red Bug. 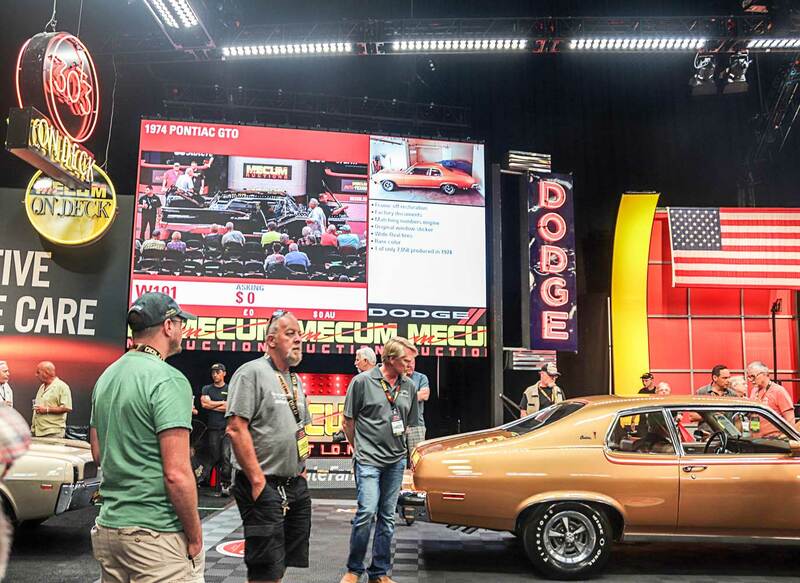 Unlike Barrett- Jackson auctions, Mecum does not have any parameters of what types of cars people can put up for sale. No restriction of year, make, model, rarity, or current condition makes for a cornucopia of options. Buyers can be anywhere from the Average Joe who pick up a car for fun, to serious collectors looking for diamonds. Sit in the auction arena for 20 minutes and you will see a varied array of items come up for bid and hundreds of thousands of dollars- if not millions- change hands. Sellers can put one lot up for sale or many. The collection that captured my attention was the Jim Street Estate. James Skonzakes, better known by the moniker Jim Street, bankrolled the legendary car customizer George Barris to make a dream car in the early 1950s. The ultimate result was the Golden Sahara II. After the second round of modifications, Street invested over $75,000 (equivalent to $675,000+ today) in this technological masterpiece. 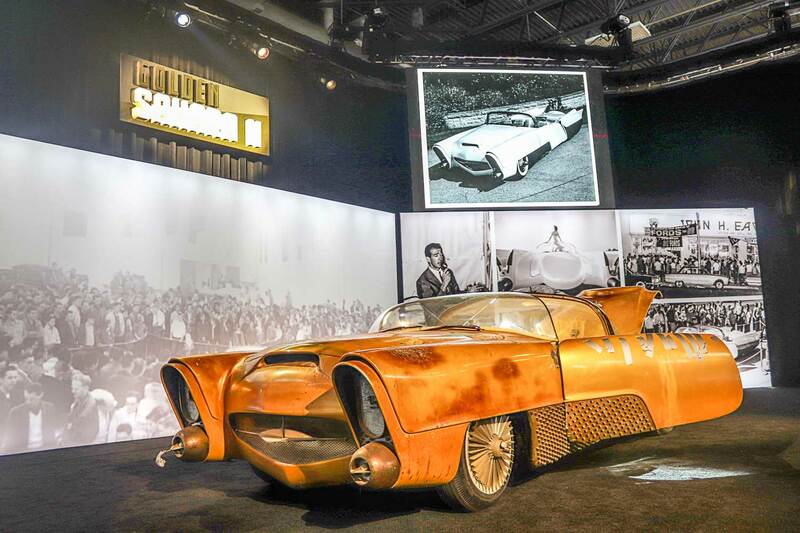 Street used it as a marketing tool and lent the Golden Sahara II to motor events and dealerships to show off the car’s new- age voice control system, remotes that could drive the car and even the self- driving feature. This must have melted the minds of onlookers back in the mid 50’s. Unexpectedly pulled from the show circuit and stashed in a garage for decades, the Golden Sahara II fell into a state of disrepair. 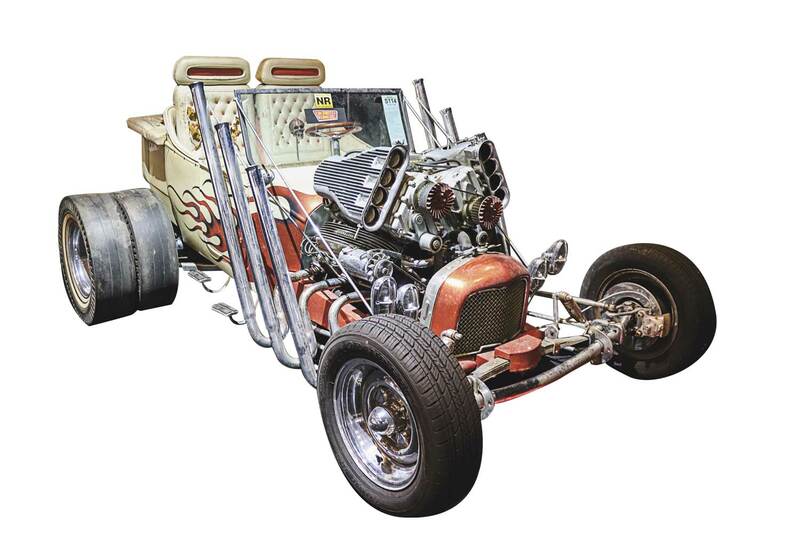 If that piece of rolling art was not enough to capture the imagination, the other lot in the Jim Street Estate collection was “Kookie’s Kar.” Hailed as the “catalyst that started the T-Bucket Craze” this car is the definition of a classic hot rod. You might have heard of it from the TV show “77 Sunset Strip” though it has undergone an extensive re-customization since then. Also stashed from public eyes for decades, both lots were put up for bid with no reserve to begin with- it would be completely at the digression to the pool of buyers what they wanted to pay for it. Estimates were between $100,000 – $1.2 million each. It all depends on who has the money and how bad they want to take either car home. Though the lineup of cars is seemingly random, it is clear that Saturday’s lots are the top shelf items. A collection of Ford GTs, a group of cars being sold by baseball icon Reggie Jackson and others will join the Golden Sahara II and Kookie’s Kar. Cars are displayed in groups organized by which day they will be put up for sale. In the morning they are rolled to a big screening / staging area where buyers and people representing buyers give the cars one last look over. Once past staging, the car is driven up to the queue and given a last wipe down. The handlers cut the engine and manually push it on stage. All the while, an auctioneer is hammering words a mile a minute until it is time. “Okayfolks. ABeetle. ABeetle. LotW201.” The auctioneer lists the car’s stats, make, model, and asking price then recites the bill of sale in one breath. The bidding starts. 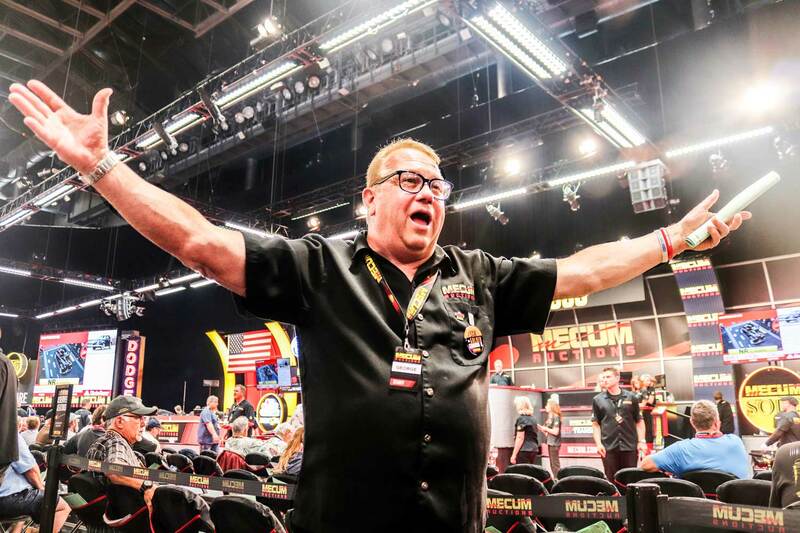 Teams of Mecum employees are dispersed throughout the crowd of bidders. Referred to as Ringmen, they are in charge of relaying if someone in their section wants to place a bid. To alert the auctioneer when they have an interested buyer, the Ringmen holds up fingers to represent how many thousand dollars and gives a short yell. Every time a desirable car is on the auction block, these Ringmen sound like a chorus of squawking birds until the price is driven up to draw out the top buyer. “Once. Twice. SOLD!” The auctioneer hammers down their gavel and the Ringmen let out another shout to celebrate the fact that they just sold another car. If a lot is not desirable, the seller can give notice to take off the reserve price then the crowd practically falls over themselves to get the car at the lowest price possible. This happens for hours on end without let up. The energy level is incredible, and it is hard to understand without being there in person. Auctioneers are the ringmasters but the Ringmen run the show. As I exit through the tunnel on my way out, the auctioneer is still drumming up the crowd. “What is that?” he yells, “THE RESERVE IS OFF!” I close the door behind me just as I hear a loud cheer from the crowd. The sickness he speaks of is an affinity for racing. Ask a true race fan and they will tell you that the sport gets under your skin, you become addicted to going to the dirt track, the drag strip or anywhere they drop a green flag. Renowned motorsports photographer John Mahoney takes that passion to another level. Mahoney, a Indiana native, discovered dirt track racing first then graduated on to his first Indy500 in 1955. “I have not missed a ‘500’ since” he states proudly. You might know his name, you might not- but if you follow American open wheel racing at any point in the last 40-odd years, you have undoubtedly seen his work. Mahoney has photographed the stars of USAC, long before they become stars. He graduated from Indiana University with a degree is psychology and went to work for the state of Indiana. 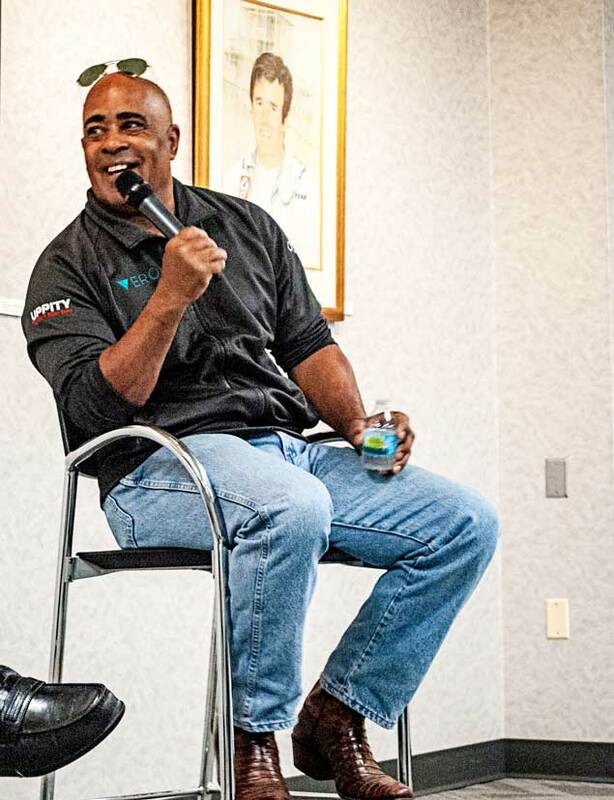 During his studies, he met and befriended an equally well known and talented would- be motorsports photographer Gene Crucean. 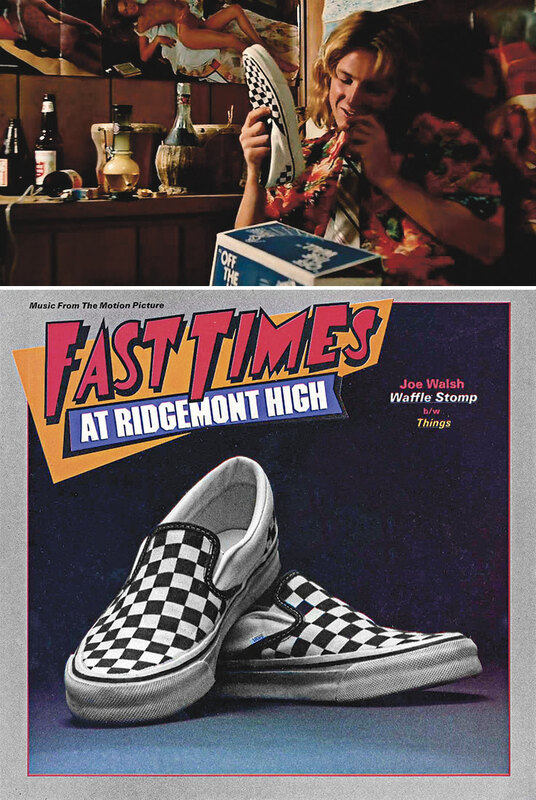 “I got my first Press Pass by pretending to write for a fake newspaper.” Mahoney admits wryly. “We called it Northwest News.” It was the mid sixties and he and his first wife had moved to southern California. “We reached out to the track in Sacramento, asking for passes but got no reply. I just wanted to get into the pits for free!” He had Crucean pose as the pretend editor for Northwest News and kept sending in requests. 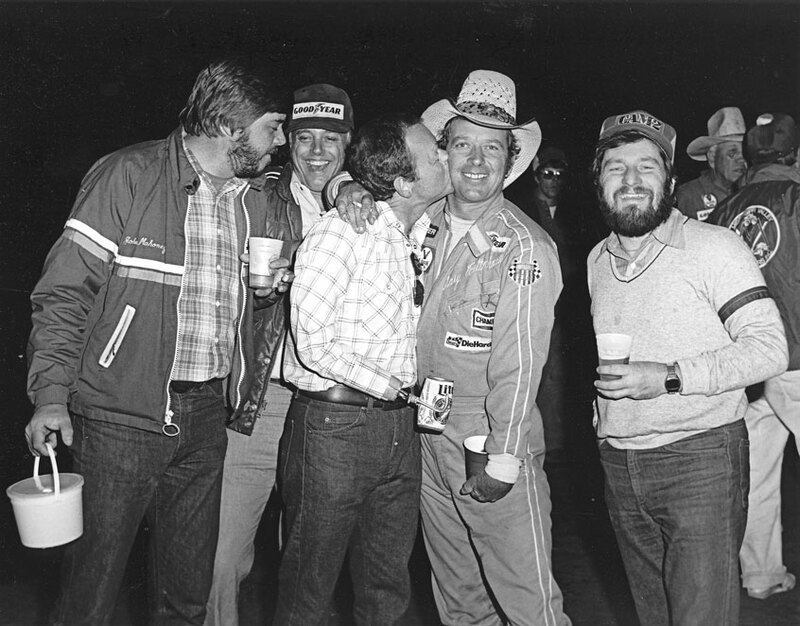 “The weekend of the race I was out in southern California, I was at a hotel- they were always having parties in the hotels- and I ran into JC Agajanian, you know, the promoter for Ascot Speedway. I thought to myself: ‘its now or never’ and walked up to him, saying that I was a writer for Northwest News and we never heard back about credentials. JC said that he had never heard of Northwest News but pulled out a pass from his pocket and gave it to me!” Later on Mahoney got hooked up with a couple legitimate racing publications, his photography flourished and the rest is history. Dirt track sprint car and midget racing was, is, and will forever be his favorite. He has had the privilege to work with some of the biggest names around. From Foyt – his personal favorite-, Andretti, Rich Vogler, Bryan Clauson, Tony Stewart, and many more. In the handful of best races he has seen, the Hoosier will list big, local, Indiana races over the decades at the top. Mahoney is constantly asked for photographs for varying projects. Trying to obtain credit for his images is a never-ending battle. He has helped put together a few books on the history of USAC racing and is currently working with Dave Argabright and Pat Sullivan on another. His personal photo collection is featured proudly in “FULL TILT: The Motorsports Photography of John Mahoney” and on his website johnmahoneyphoto.com. Mahoney, unlike most professional artists- is about as humble as they come. He refuses to admit how influential and important his vast experience is. He also jokes that he has yet to make a good portfolio of racing pictures. His wife, Martha, made a point to pull me aside after our lunch meal. “He is one of the best, no doubt. He will never say it but – if you have seen his work, you know.” Between portraits, actions shots and details of the track — John Mahoney is one of the best visual storytellers in racing. For a career made through the lens of a camera, Mahoney has managed to live his life at the place he loves best and the manner he loves best: at Full Tilt.